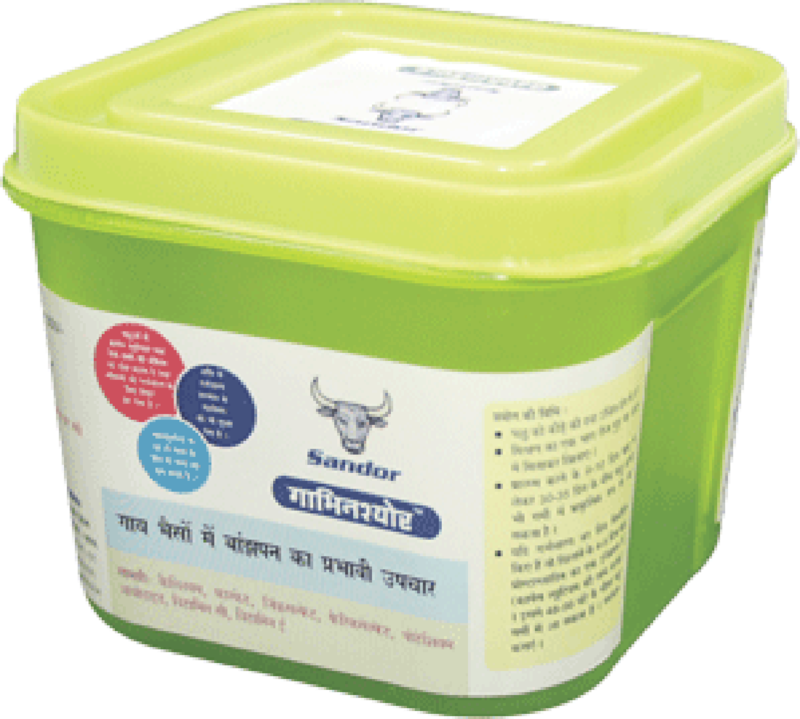 Our innovative formula named ThanelaCureTM is formulated using specific amount of minerals, trace elements, calcium, vitamins, natural antimicrobial elements etc., to prevent and cure mastitis in dairy animals. It promotes continuous milk synthesis. Despite of tissue damage, it promotes rapid healing of damaged tissues and reduces inflammation besides working against pathogenic microbes. Thus recovery is much higher and faster..
Our innovative product GabhinSureTM is formulated using specific amount of minerals, trace elements, calcium, vitamins, etc. It induces development of corpus luteum and follicles thus restoring natural cycle and normal reproductive function in the animals for a longer period. It also improves milk production and general body health.